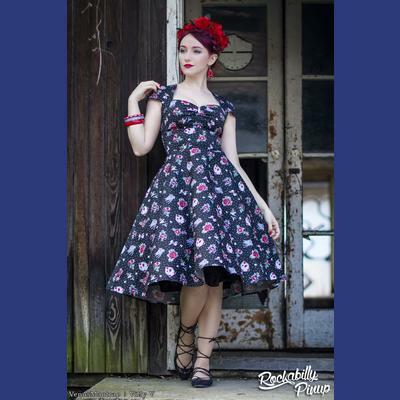 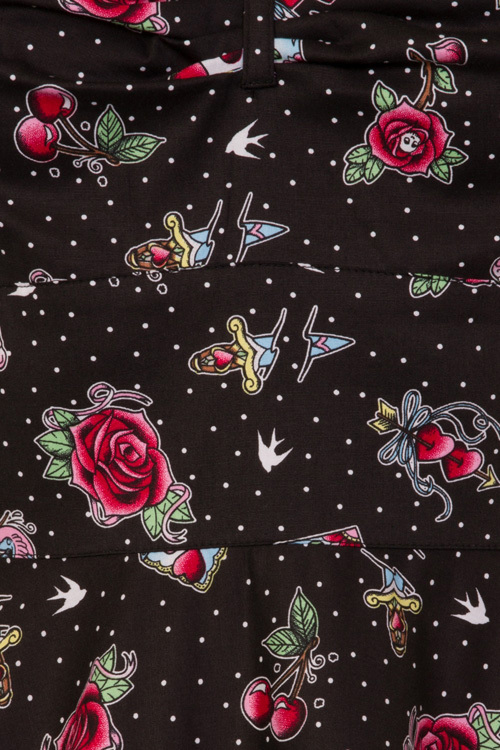 Stevie 50’s dress by Hell Bunny is inspired by tattoo flash art including roses, cherries, daggers, bows and swallows on a black and white polka dot background. 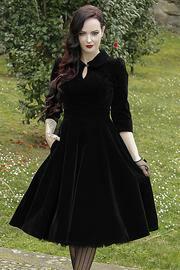 The dress has cap sleeves, bolero style panels at the shoulders and a sweetheart neckline. 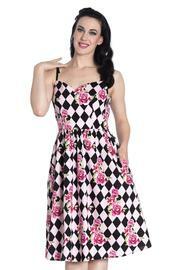 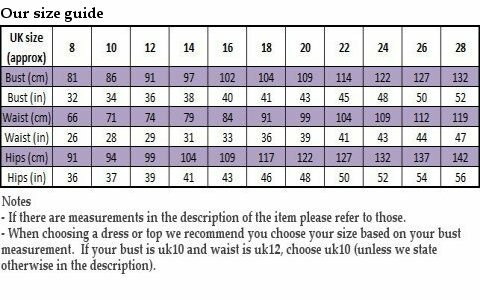 There is a flattering gathering over the bust and a fitted waistband from under the bust to the waist. 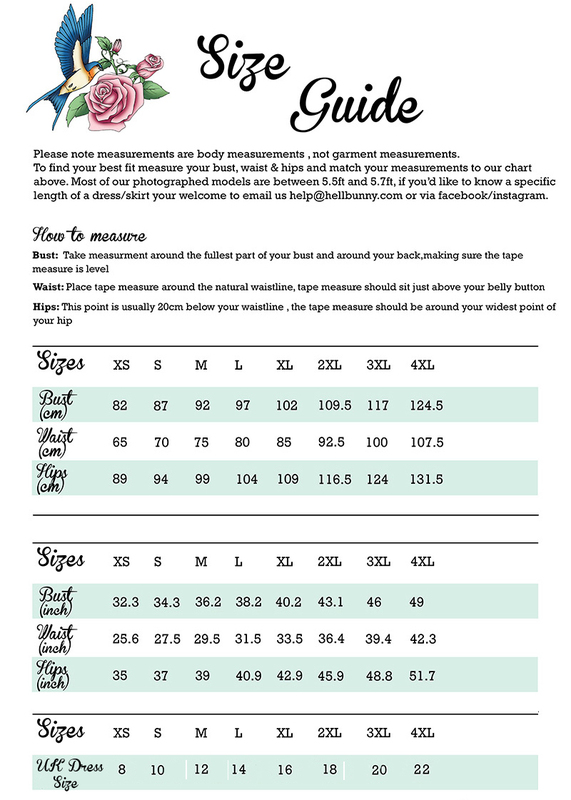 The bodice is lined to the high waist. 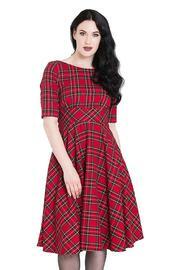 There's a zip fastening at the centre back. 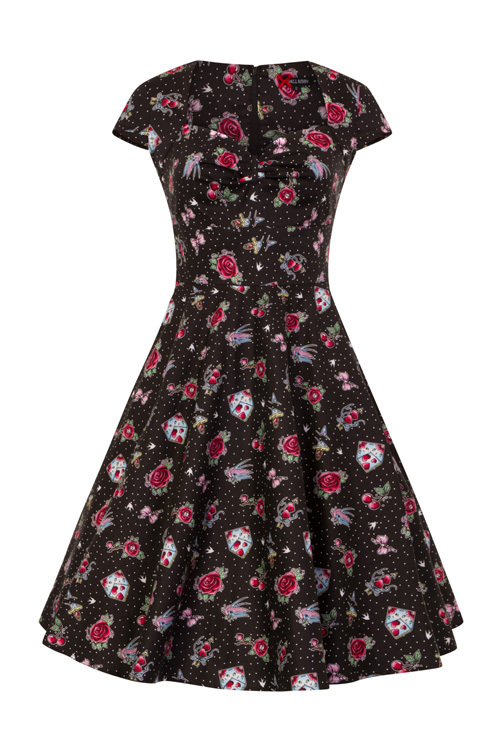 The dress has a circle skirt with pockets in the side seams.